Rachel: When did you first think “Hey, I can write a comic”? What was your inspiration? Are you a fan and if so what specific kinds of comic books do you prefer? Simon: A few of my friends and I were kicking around ideas one day at lunch and we started talking about werewolves and then one thing led to another. Before I knew it I was talking about Nazi Werewolves from Outer Space. I contacted Don Marquez through an Ebay cover auction and told him my idea. He sent back his scetch. I sat down and wrote 8 pages of text and the rest, as they say, is history. That Marquez painting became the cover art for issue #1. I’ve been a fan since I was a boy. That was a while back and I loved horror movies too. My dad took me to see The Exorcist when I was seven and it scared the hell outta me but I loved it and grew to love it more as I became an adult. Some of the best times I can remember being a kid was getting my comics and hiding in my room for half an hour, totally disappearing into those stories. It was the hey-day of the Kirby and Lee collaboration. Neither of those guys, in my opinion, have had the kind of raw story-telling power since Kirby left Marvel to join DC. I’m a HUGE fan of EC Comics, which was founded by William Gaines with Al Feldstein doing the art. Feldstein is still around and producing pieces. I had him paint a cover for me and it was just beautiful. So yeah, I’m definitely a fan! A lot of people would hesitate to jump out on their own and invest in an idea the way that you have. What do you think inspired your courage to make your ideas a reality? I didn’t want to look back on my life and say to myself, “Well, why didn’t I ever write a comic book?” I only get one life and loving something as much as I love comic books…it would be a shame to not try. The way I see it, it’s better to try and fail than not try at all. I don’t want to live with that regret. Everyone needs a passion and I love doing this. It gives me a reason to keep moving along every day. 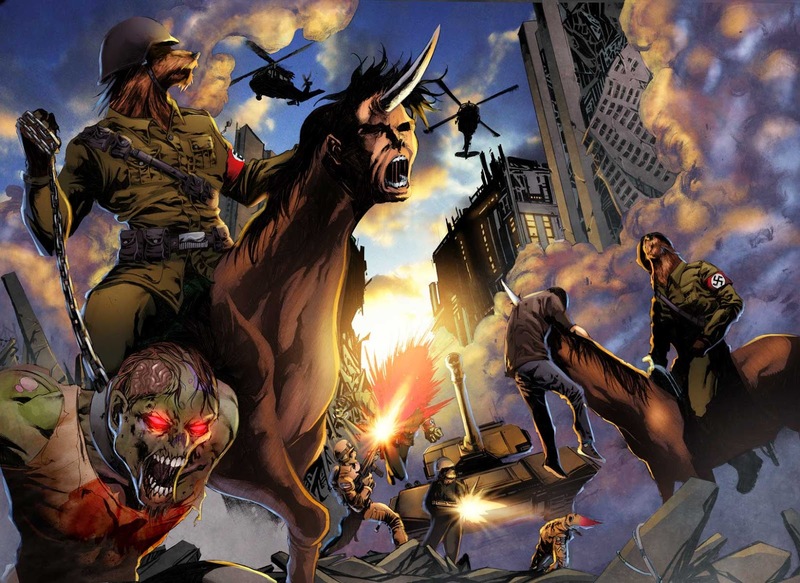 Trauma Comics is under the umbrella of an independent comic book publisher, Indy Planet. How did you find each other? I sought out IndyPlanet for my publisher but I take the copy to print. I invest my money. They operate the sales and orders online but I do a lot of the footwork myself. It’s a one man show most days. It is definitely a labor of love. When going independent, what are some pros and cons that you run into? Some of the cons you run into are related to distribution. There just aren’t a lot of options out there. With social networking you can get around some of that. I have friends on Facebook as far as the Netherlands who have placed orders directly from me. Diamond has a sort of monopoly on the way comic books are distributed so its hard for a little guy to find a place in the room with the giants like Marvel and DC. If you don’t have 2-3 issues under your belt they won’t touch you and if they do take you on you still have to deal with a limitation. But where there is a will, there is a way. That’s part of the pro’s. I have complete control of my idea. I have no editor breathing down my neck telling me it isn’t good enough, or I need to change something. It’s my property. It’s my baby. And I can distribute to anyone who wants it. Four shops in Dallas ordered a lot of my books and are sold out now. Did you have to seek out your illustrators? Well, I sought out Don Marquez, as I mentioned earlier, but Dean Juliette was a huge fan of the idea and has really brought a whole new level to the quality of art that is in the covers of Nazi Werewolves. He’s a great guy. Jason Flowers did some of the back cover art for issue #1 too. It’s one part luck and one part determination, finding the right fit for your idea in an artist. What titles can we expect to see coming from Trauma? Issue #2 of Nazi Werewolves is out to print now so that should be available for consumers really soon! Since I am Trauma Comics, the production times aren’t as quick as the big guys but I think the wait is worth it. In film, there is a lot of grindhouse revival up and coming. 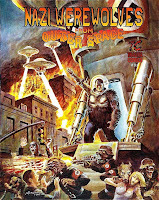 Do you see yourself adapting the ideas from Nazi Werewolves from Outer Space and Kung Fu Satanist into film? I would love to, and if someone gave me a shot at it, I would. What is the single best moment of your career as a comic book writer that was directly related to your work? 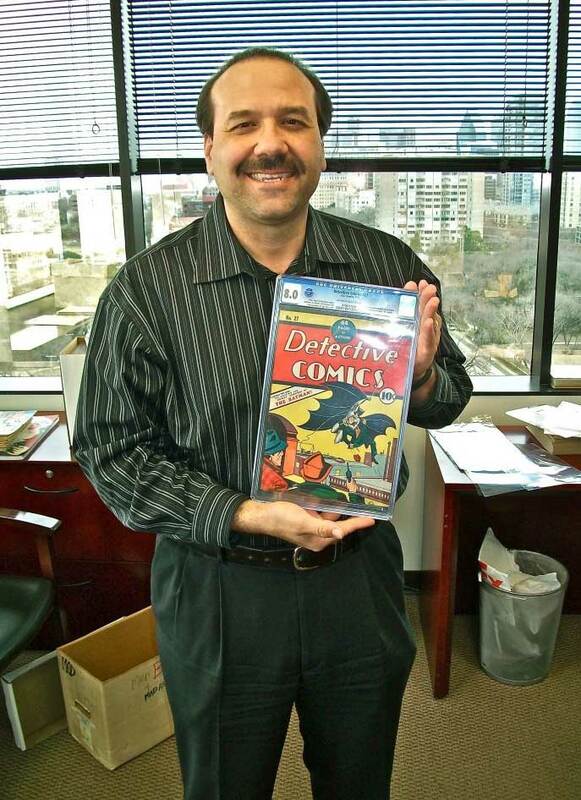 I’ve worked for Heritage Auction House in Dallas, Texas part-time specializing in comic books for about eight years now. One day, what should come through but Detective #27, the first appearance of Batman. Everyone in the house who loves comic books was drooling over it and it ultimately sold for a cool million. I get to see all of the best stuff come through that house and it’s been a real privilege being able to do it. 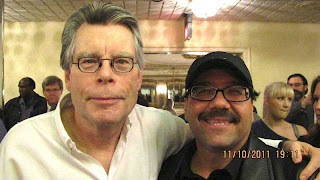 I also met Stephen King who signed something for me at a con. He’s a great guy. You think he’s going to be this creepy person but he’s totally cool and funny! Simon is a man of layers. One of them peels off dirty, graphic grindhouse style. This man writes stories that are fun to read and crazy as all hell. Reading Nazi Werewolves from Outer Space is like dropping acid and watching a WWII docudrama. It's insanity and you will love it as much as I do. For reviews and other goodies follow the links listed below and happy howling!